Today's entry in my list of favorite things of the year is the latest game from the studio that delivered Bastion and Transistor, both games that appeared on this list in previous years. Developers Supergiant are now three for three in my book when it comes to creating wonderful, captivating, indie games. They never make predictable decisions. I love that. 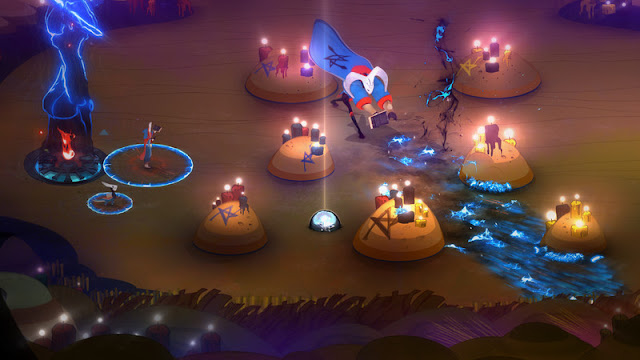 Pyre is, rather oddly for an RPG, a sports sim at it's core. It owes more to the immediacy of the 16 bit era and the likes of the early NBA Jam games than it does the modern layered EA sims, but it is still uses the same core loops as a sports title. Your team of three players contest against another team in trying to 'dunk' the ball into the opponents pyre. You score different points based on how you scored, and the first to a certain score wins. Different players have different attributes and range from strong and slow, to small and nimble, each use a different style of jumps and attacks to maintain control of the ball. Your goal is to both move the ball, and knock out the opposing players, as doing so removes them from the field for a period of time, handing you an advantage. It flows well, and has an arcade feel to it. That core game is then wrapped in the usual, wonderfully evocative, world that Supergiant are so good at creating. You guide your misfit band of players through their adventures not simply to level them up, but to reveal their backstories and create bonds with them. It's a brilliant fusion of a sports game and an RPG game. Those choices are what make Supergiant so interesting. Because they clearly understand their design philosophy, and know what is important to 'their' games, it allows them the freedom to experiment with choices that might scare more conservative designers. They take chances, and can do so, because their overarching approach ensures that the game will still 'feel' like a Supergiant game. That breeds a very powerful confidence. So in effect, rather than being restrictive, having their own design philosophies grants them this tremendous freedom of expression in their design. 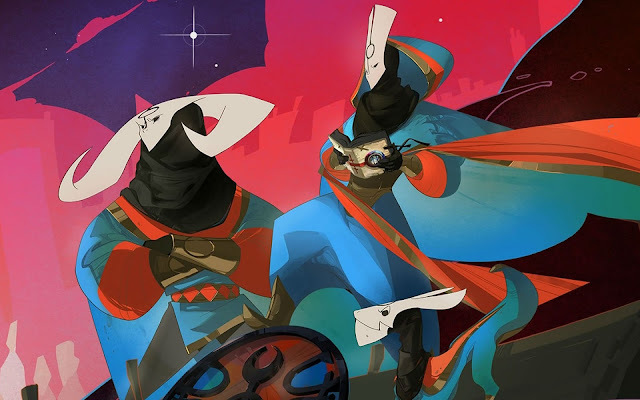 Pyre was another wonderful example of their work.